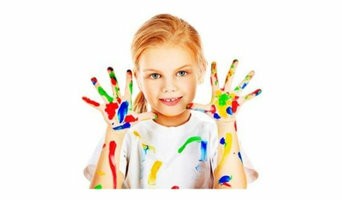 Hide & Sleep stands for all things whimsical, artistic and fun in interior design for children. First Idea Family Day Care is committed to delivering the highest standards of child care to the residents of the Eumemmerring community. We offer a warmer, stimulating environment where your child can get the best possible care and education from the most experienced educators. Our supportive staff works with the children at every stage of their development with a great emphasis on their individual preferences, requirements and needs. Our family day care centre is continuously monitored by CCTV system, ensuring that your child is safe and protected at all times. Welcome to Cubby Central. Based in Melbourne , just 30 mins from the CBD and a short trip down the Eastlink Freeway you will find our great range of Wooden Timber Cubby Houses. We are a small owner operated cubby house manufacturing company who would like to provide you with something a little different from standard wooden cubby houses. 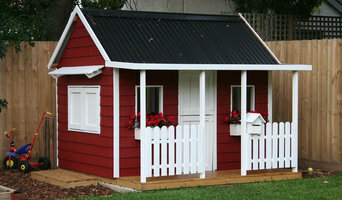 All our cubby houses are sold with planter boxes, mail boxes and skylights as standard. We offer our very popular Shop Side Servery Window and Slide Side Option . . Also a big plus for families and children , all our cubbies are manufactured with ACQ child safe treated pine externally, no chemicals, no nasties !!! . Cubby Central do not mass produce their products. We are not a large company therefore offer a very personal service to our customers, we are very approachable and friendly . We Manufacture all our cubbies from our Seaford Based Factory . As we do not have “stock” of our items, every cubby is individually made to suit you, the customer, we make to order , so we only manufacture approximately 6-7 cubbies a week. So , if you have a specific date that you require your cubby for , can we suggest that you make a time, come out and see us , and if you like what you see , then book in a date , as we do fill quickly . We do not only offer a standard range of Wooden Cubby Houses , we offer a custom design service, and all our products can be altered to suit your needs. We have loads of options and accessories available , ranging from colourful accessories to sandpits, elevation kits, wooden swing sets and slides. Make your Cubby or Fort an even more fun place for the kids to play with the addition of a steering wheel,telescope, slide or firemans pole , the options are endless and all available through Cubby Central Melbourne. Why not have your cubby manufactured from Weatherboards, a product that is pre primed and ready for you to add your own personal touch to your cubby – add a splash of colour to personalise your new kids home. DONT FORGET TO ASK ABOUT OUR RENDERED AND CUSTOM RANGE OF CUBBIES – MAYBE EVEN A TREEHOUSE !!! So feel free to give us a call and we will have your kids out of your hair and in their new home in no time ! Moon Jelly is a boutique children’s lifestyle label and is the creative effort of Australian mums, Alicia (Newcastle) and Skye (Melbourne), whose philosophy was born out of a desire to create Australian-made kids wear and bedding from 100% organic cotton that is functional and comfortable. Organic cotton is a superior and soft fibre. Our fabric is knitted and printed in Australia with our own unique art and illustrations. It is then cut and sewn in Australia to create high quality pieces for fashionable babies and kids worldwide. Our manufacturer is accredited by Ethical Clothing Australia, so we know that the craftspeople who help create our products are getting paid a fair wage and are working under ethical conditions. Manufacturing locally also helps to minimise our carbon footprint by limiting the transport of stock and supplies and reducing the overall impact on the environment during the cotton’s journey from seed to product. We believe that every little part played in the production chain helps make a difference for our children to have a healthy and sustainable future. Just Kids Furniture was established in 2006 by businessman George Sotiropoulos who was selling both adult and kids furniture. George identified a gap in the market for kid’s furniture especially for custom-made solutions. Coupling with his natural fun and outgoing personality, he found creating kids furniture more lively, colourful and rewarding. He especially enjoys seeing kids getting excited over their new room and the memories they can create there. Fay and George met in 2008 and Fay shortly after left her corporate career to pursue something more meaningful and intrinsically satisfying, and started to work with George in the business. Almond Tree Designs will transform your child's room (or any room in your home!) into a magical wonderland with it's gorgeous range of wall art. All our prints and paper cut art are designed, handcrafted and framed in-house using the best quality frames, handmade by local Melbourne framers. And because we do everything in-house, we can personalise and customise any of our designs to create a look for your home that is truly unique. Helping you turn nightmare bedrooms into dreams with handcrafted themed accessories that are easy to use so that you can turn your child's bedroom into a truly special haven. Handmade blankets and accessories for the beautiful little people in our lives. Design + Learning Modern Kids ed.ucational Products Designer/Student Teacher Welcome to Elsewhere Designs; where modern aesthetics are combined with my love of learning to bring you a range of educational products designed from a different frame of mind. tigeRoy is an Australian company that invents and creates practical and fun gifts for children. I believe that stylish and creative wall art doesn't just have to be for grown-ups. I scour the world to find artists with an individual style, and along with my own designs I have put together a collection of children’s wall art and wall décor that stands out for its originality. In a world where little minds are bombarded with so much digital stimuli, I’m on a mission to replace some of that noise with art that is full of colour and imagination. Wall art that will help mums who like to style, create amazing rooms that their kids will love. I strive to continually bring new designs and products to my collection, which compliments my quality in-house crafting processes. These processes include using the finest art papers and pigment based inks. This increases the lifespan of your print as well as creating a print that looks like original artwork. I’m on a mission to bring you stylish kids art that POPS! I created Fizzy Pop Designs in 2015 after spending weeks trying to find wall art for my little one (Miss M). I purchased prints from artists from all over the world to add some colour and fun in her room. But what I wished at the time was that there was somewhere I could find this art all in one place. Since starting my business I have found that I am not only able to help parents find unique art to style their kids rooms, but I am working and helping artists build their fan base. Many of the featured artist in my collection are mums like me and want to create a balance between work life and family life. I believe small business is an integral part of the local and the wider community. It allows people to think outside of the box, developing and creating solutions to problems or amazing unique 'must have' products. It also allows many mums (and dads) the flexibility they may need to still remain working while having a family and most importantly it allows people to chase their dreams. It is important that we support small business and 'shop small' where we can. The challenges of babyproofing a house, furnishing and equipping kids’ rooms and nurseries in Endeavour Hills can be time-consuming and overwhelming. Professionals in this area will offer you countless nursery ideas and kids room decor - including cots, cribs and bedding solutions - that are suited to your needs and lifestyle. They will even find you the perfect wall decal! Most designers who specialise in decor for kids’ rooms and nurseries will tell you that a child’s room isn’t just for sleeping in. Little ones need a space where they can learn, play and sleep safely. Furniture, blinds and even lighting have to work safely for both you and your little one. Whether you’re hunting for small or large brands, make sure you chat with your Endeavour Hills, VIC, AU designer to make sure that what you buy meets safety requirements. To choose kids’ furniture that will stand up to the rigours of active play, look for high-quality furniture that meets Victoria standards. Make sure that each designer and manufacturer you work with is aware of any product recalls, dangerous materials and structural requirements. If you’re planning a larger project that goes beyond products, you might need to reach out to other qualified professionals for help. Here are some related professionals and vendors to complement the work of kids & nursery: Artists & Artisans, Furniture & Accessories, Interior Designers & Decorators. Find kids’ room and nursery professionals on Houzz. Narrow your search in the Professionals section of the website to Endeavour Hills, VIC, AU kids’ room and nursery designers. You can also look through Endeavour Hills, VIC, AU photos to find a room you like, then contact the designer who worked on it.